Teamwork, creativity, ethics, resilience, curiosity and time management. These skills are critical to a child's success — in school and in life. 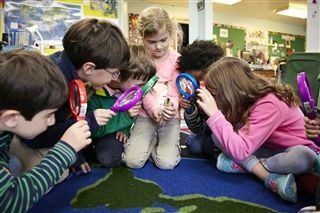 At New Canaan Country School, teaching character in action is central to our mission. Research increasingly shows that these “non-cognitive” or character strengths are not only desirable, they contribute significantly to children’s happiness and success in school and in life. Research also shows that these skills are teachable. To learn more about Mission Skills, please watch our video and read "Building Character, How Can Independent Schools Ensure They Teach What They Profess?" by Head of Middle School Kirsten Rosolen and Sixth Grade Teacher Suzy Sensbach, Independent School Guide 2014-2015. This is not a choice between academic rigor or character, rather a thoughtful balance of the two. We aim to weave Mission Skills with rigorous academics in authentic ways. In fact, incorporating Mission Skills into the curriculum allows for richer academic lessons that promote higher order thinking, self-reflection and deeper classroom discussions. They also are correlated with important academic outcomes, such as grades, attendance and ERB scores. In sixth grade, when learning about Leonardo da Vinci, students are encouraged to build on his work and generate their own ideas for inventions, further deepening their understanding. In grade 9, students draw on ethics and teamwork mission skills, as they debate if Andrew Jackson should be on the $20 bill. New Canaan Country School’s effort in developing these character strengths is deliberate, explicit and consistent. On campus and in classrooms, all students and adults use a common language when referencing mission skills. Symbols across campus act as a simple and effective visible reminder of their importance. 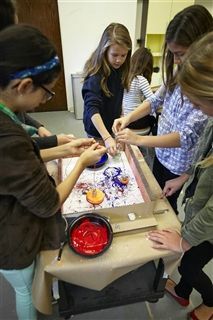 New Canaan Country School is a founding member of a national effort to improve how schools teach these six skills. Working with a the INDEX group, consortium of similar schools, and Educational Testing Service (ETS), the non-profit testing company, we have designed and implemented the Mission Skills Assessment™, a tool to measure sixth, seventh and eighth graders’ skills in these areas as a complement to academic assessments. Designing innovative ways to measure and improve instruction demonstrates our commitment to continuous improvement. Through a combination of personal responses, situational questions, and teacher ratings, the test assesses character skills with scientific reliability and validity. The results are compiled by grade-level, not individual students and benchmarked against other MSA schools. The MSA is providing us with valuable data regarding our students. The assessment’s primary value, however, is to help us to design better classroom lessons and instructional strategies. To support that goal, Country School also has created the Mission Skills Teacher Network, hosting gatherings of teachers from MSA schools. By sharing best practices, creating online resources, and demonstrating successful lessons, we will improve the character skills of children here at Country School and around the nation. Mission Skills at Country School from New Canaan Country School on Vimeo.